As part of our wedding decor, I collected piles of vintage family photographs that I then framed and displayed all around the room. I wanted to create the feeling of being in a family home (something which our venue, The Metropolitan Building, lent itself very well to). 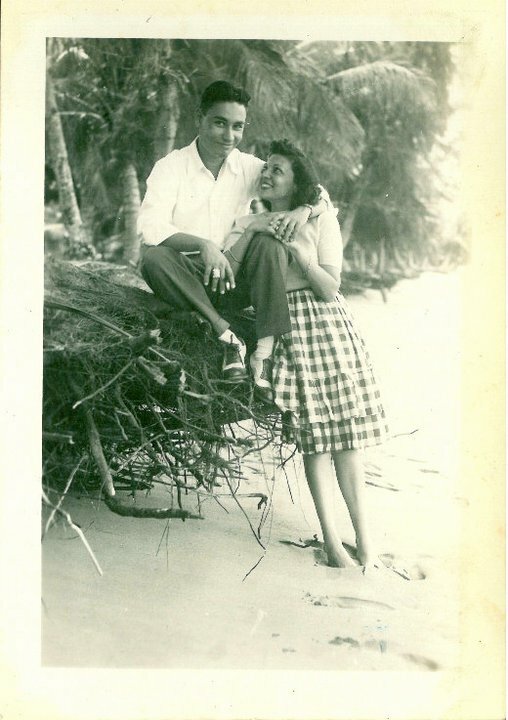 These pictures included wedding photos, of course, but my favorites were actually snapshots like this one above, of my paternal grandmother in Puerto Rico in the 1940s. 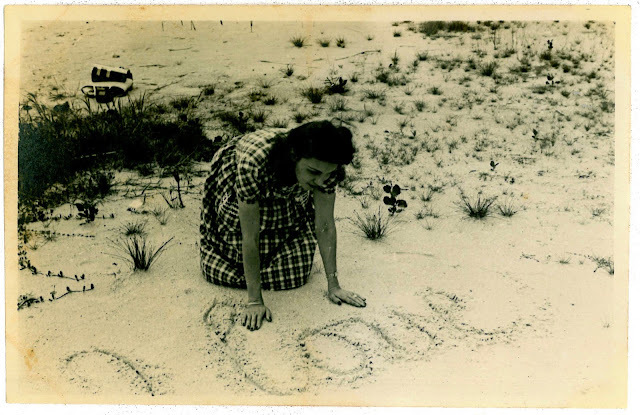 She was a newlywed bride (my grandfather is behind the camera) and clearly, very much in love. Here's another shot of the two of them together; I can't express to you just how much I love every single detail of this photo. Have a beautiful day today, I'll be back tomorrow with more sweetness (this of the edible kind). Happy Valentine's Day!! !